Dominic P. Lascara, PLC was formed in 2007 and is conveniently located in Chesapeake, Virginia behind the Home Depot at Battlefield Boulevard and Volvo Parkway. 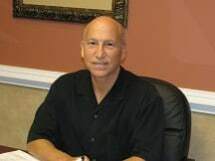 Dominic P. Lascara is an attorney with over 20 years experience practicing primarily in the areas of residential and commercial real estate and refinancing, business and corporate law, contract law, wills, trusts and the probate of estates and elder law. Do not trust your legal transactions to just any attorney - Dominic P. Lascara has a proven record of success and client satisfaction. He is committed to provide his clients with professional, quality and courteous service.